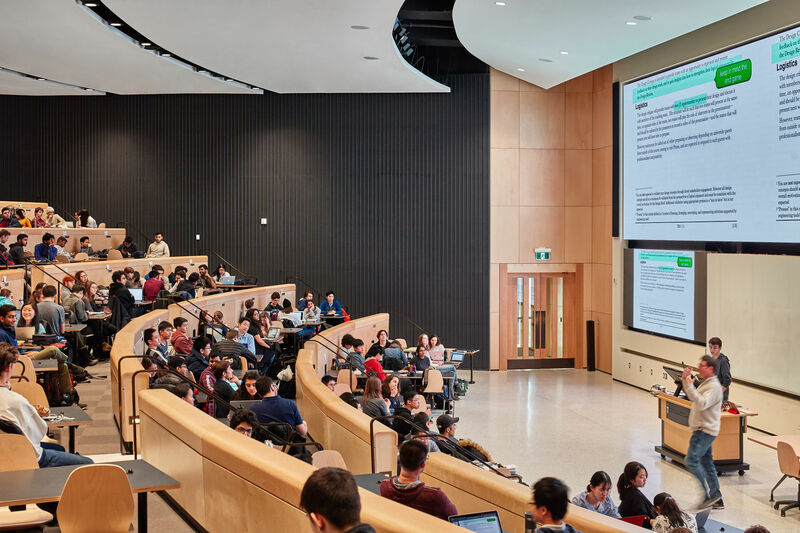 The Myhal Centre for Engineering Innovation and Entrepreneurship heralds a new era in engineering education with dynamic, flexible environments that bring students, faculty, researchers, alumni, and industry partners together to foster collaboration, encourage active learning and accelerate innovation. 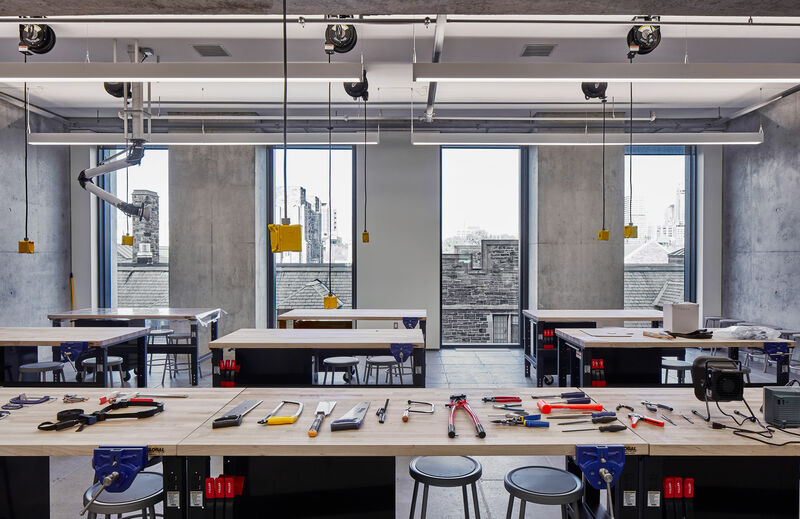 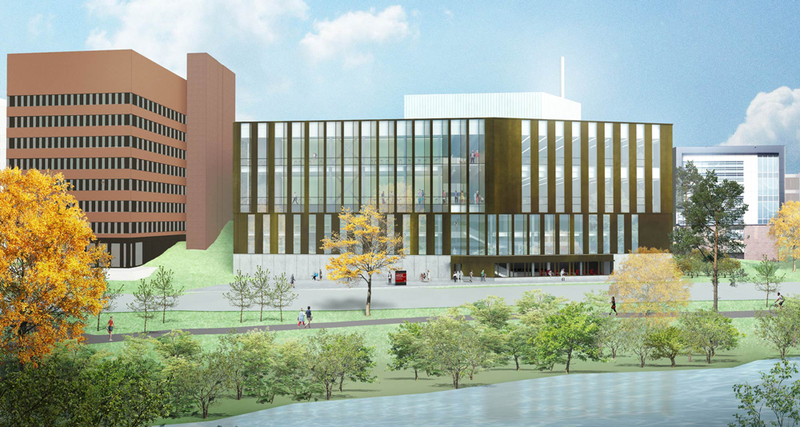 The eight storey building features 500 seat lecture theatre, state-of-the-art collaborative classrooms, workshops, lab spaces and fabrication facilities as well as several large multidisciplinary research centres and institutes. 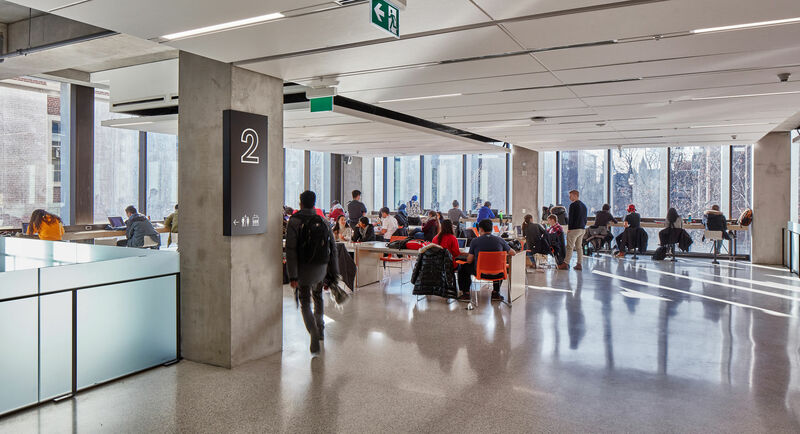 It balances 7,500 square metres of net program space with an additional 7,500 square metres of shared social learning spaces, including lounges, coffee bars, atria, and event halls. 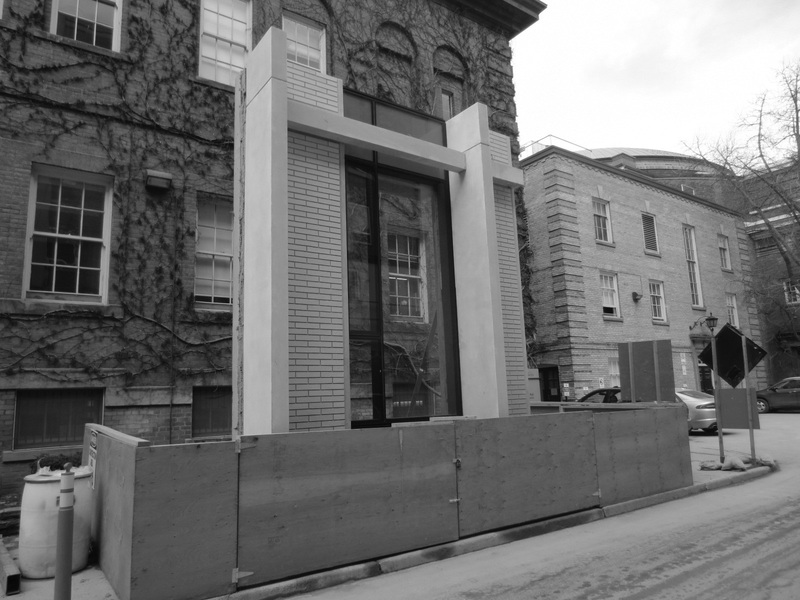 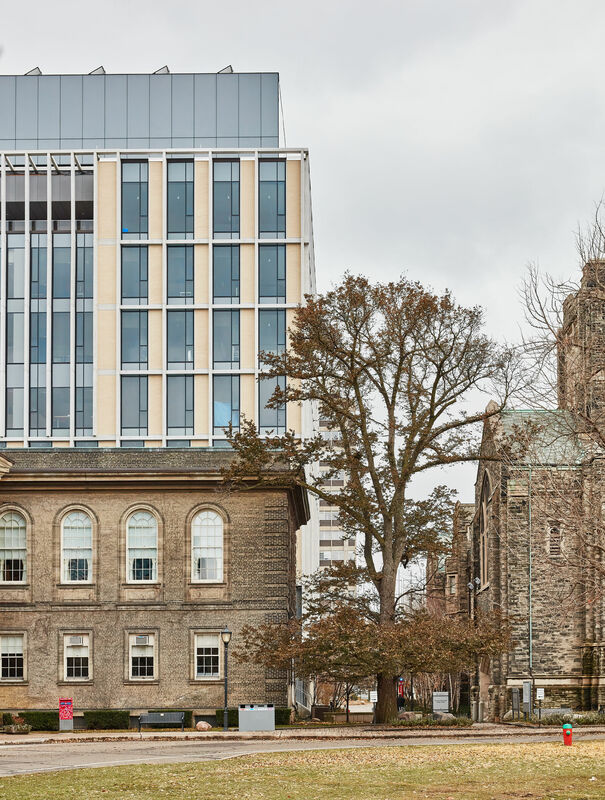 Located next to Simcoe Hall and fronting St. George Street, the Myhal Centre occupies the last unbuilt site on the campus’s main thoroughfare the campus’ main and historic thoroughfare, and is designed to have positive, transformative impact on both the streetscape and the campus at large. 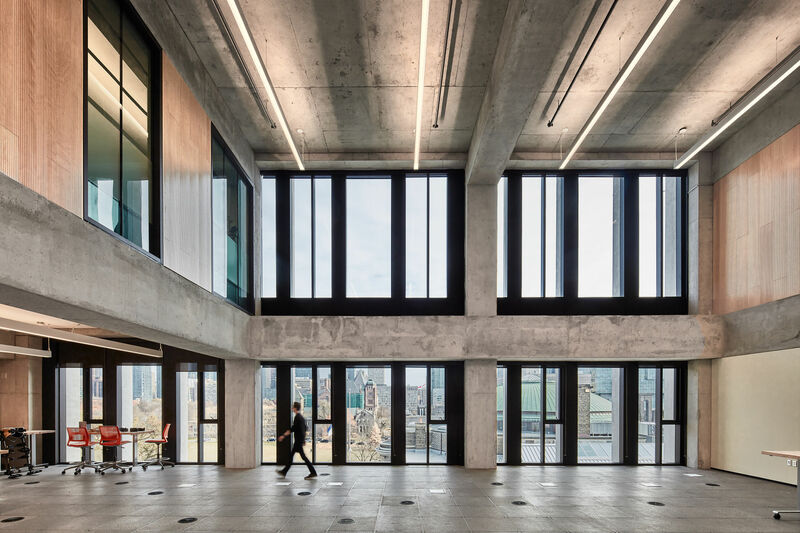 The transparent and permeable double-height entrance hall and exhibition space engages passersby and creates a sense of vibrancy at street level. 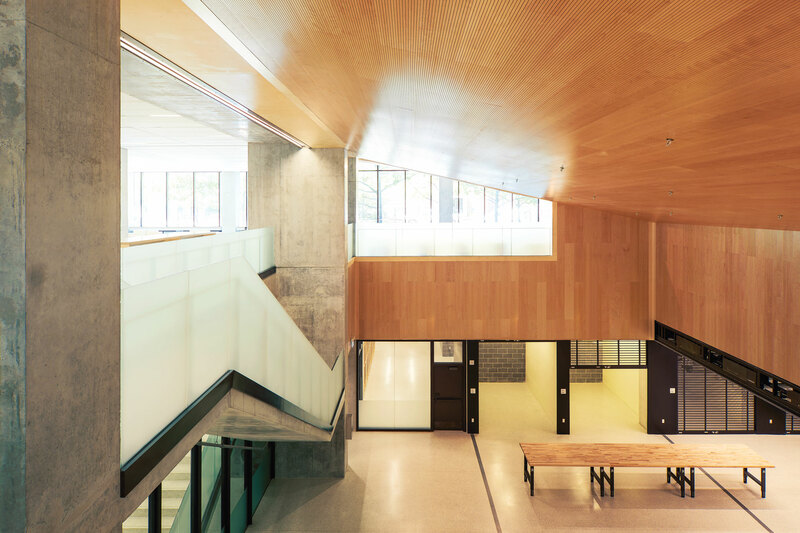 It opens onto a new forecourt with a two-storey colonnade that runs the length of the façade. 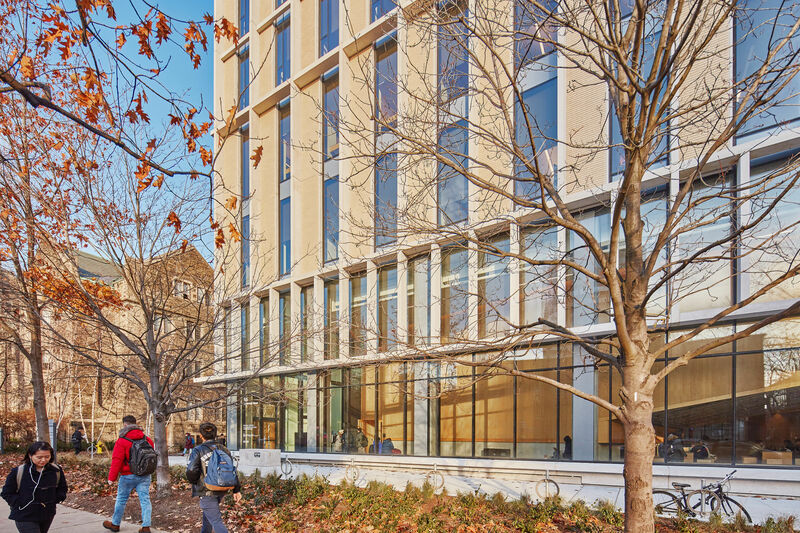 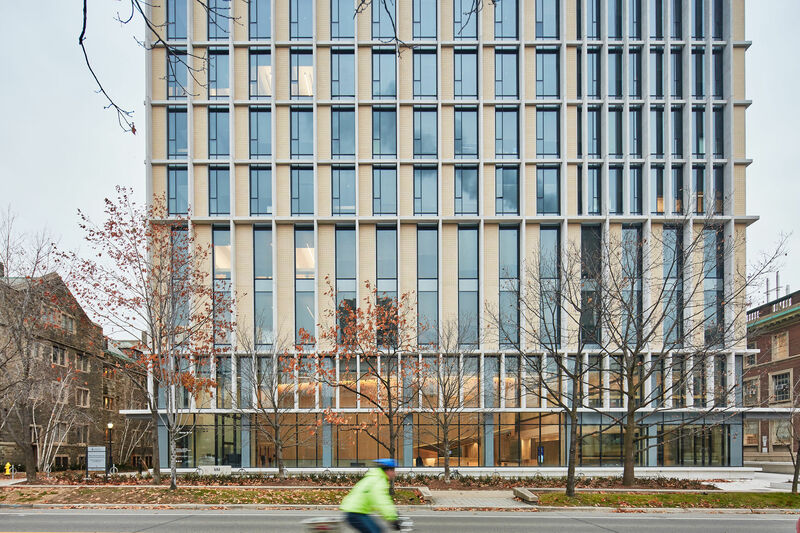 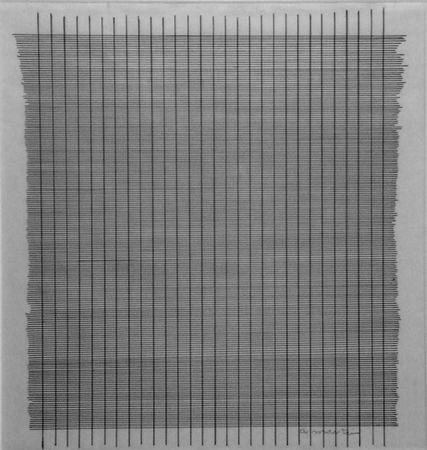 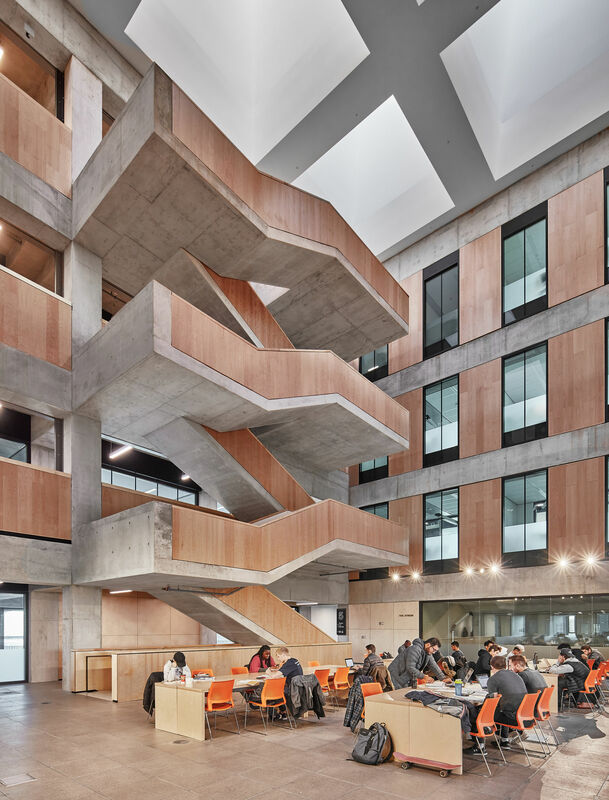 The building’s expression is premised on a dignified and restrained architecture respectful of its academic setting in terms of material, composition and scale. 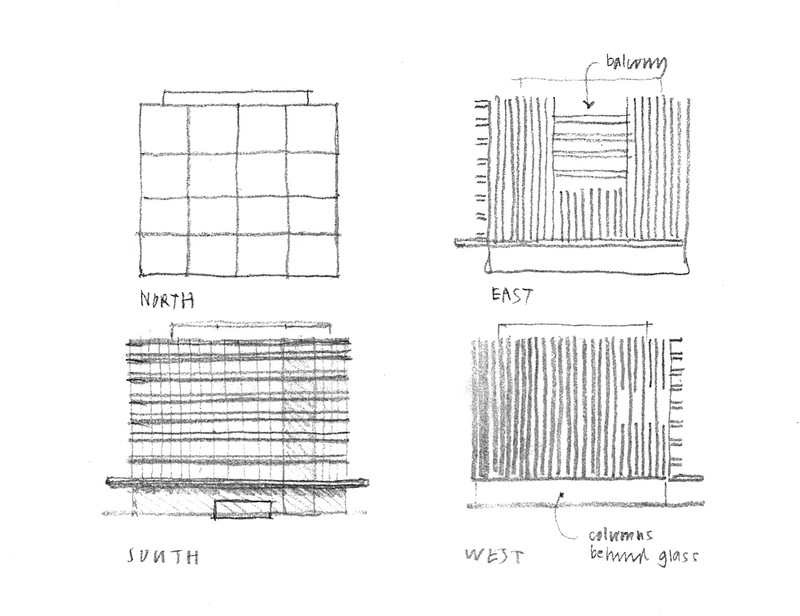 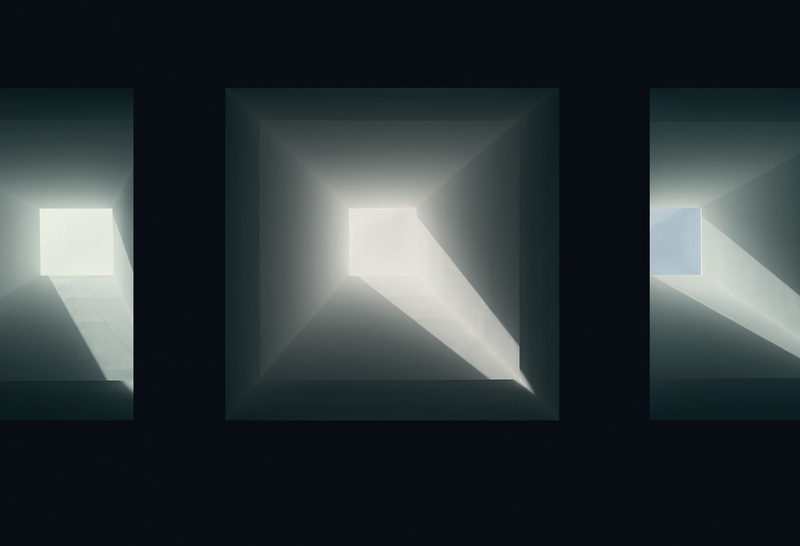 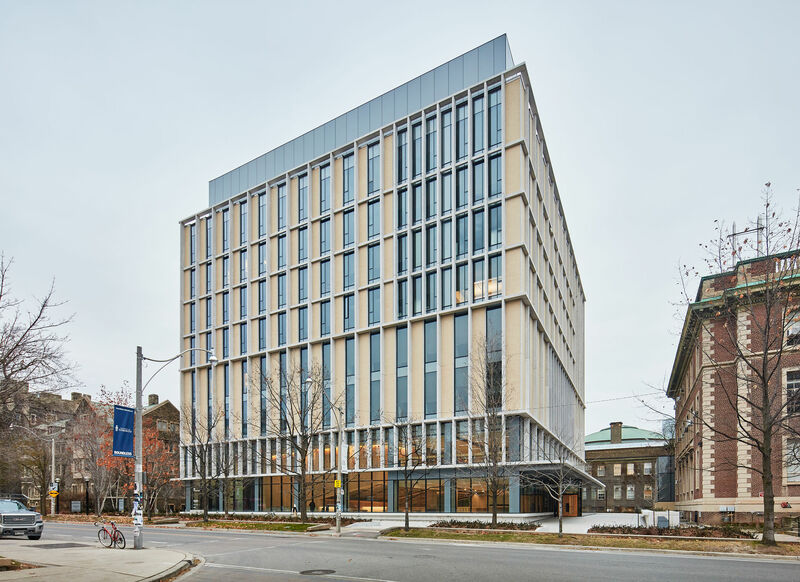 The intuitively obvious bioclimatic design of the facade results in four distinct strategies corresponding to the cardinal solar orientations – all without sacrificing generous access to light and views. 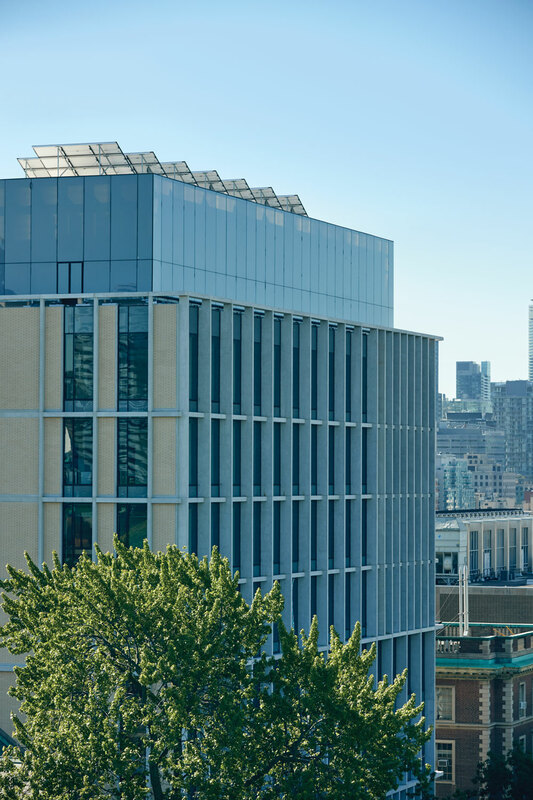 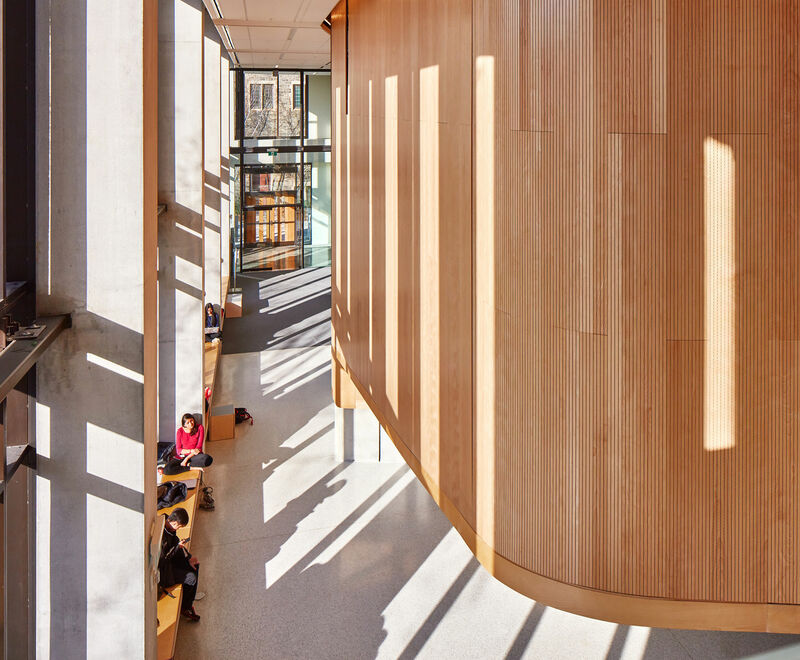 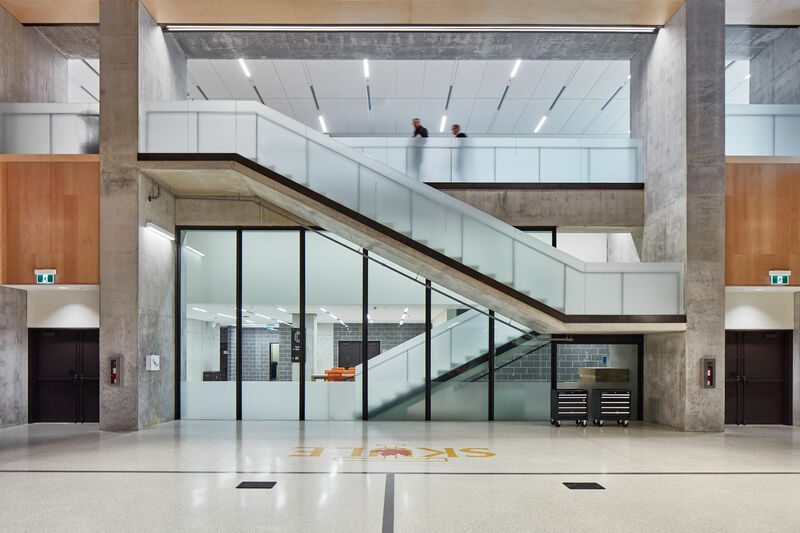 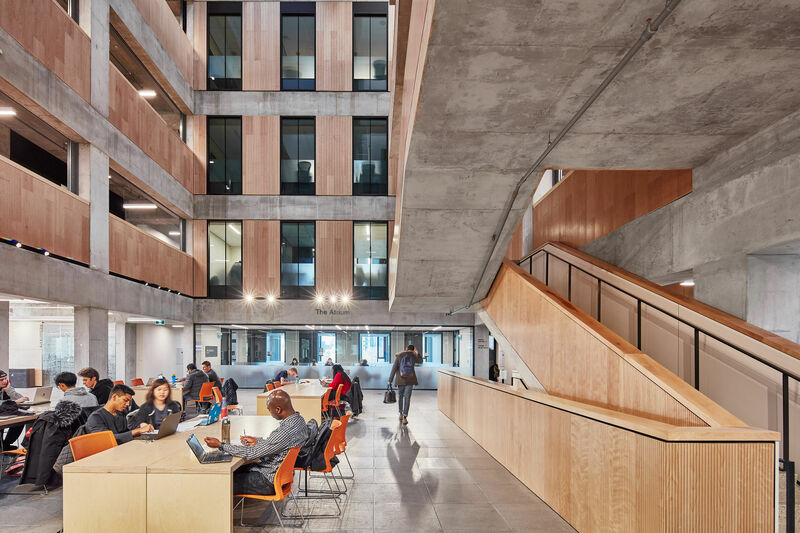 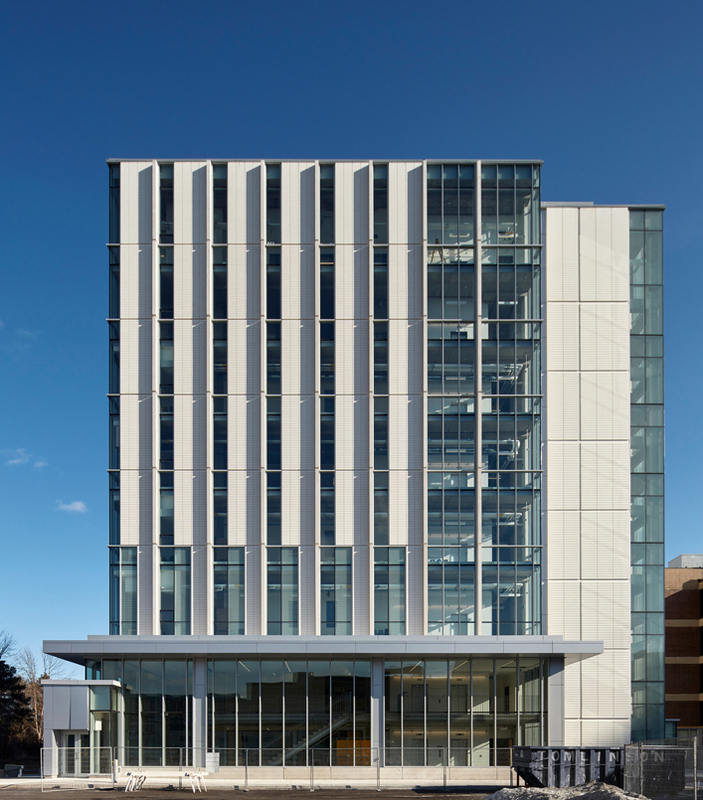 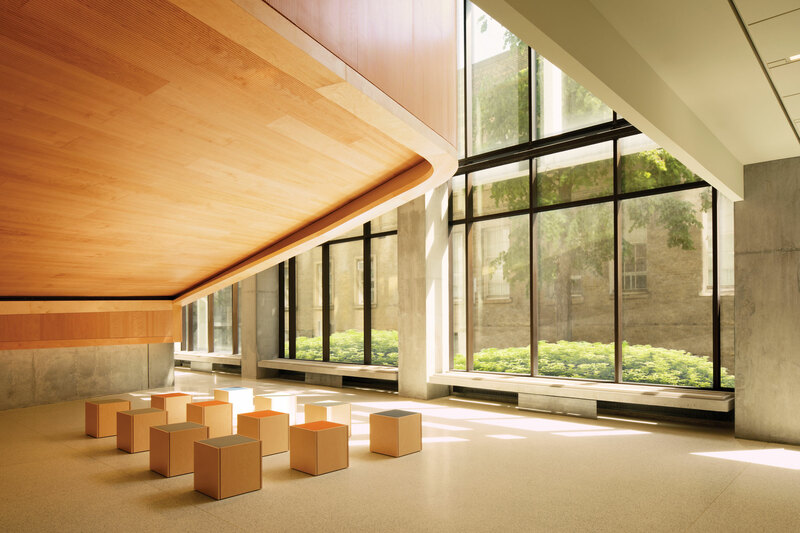 Designed to an energy intensity index of 100 ekWh/m2, the Myhal Centre opens as one of the three most sustainable post-secondary facilities in Canada. 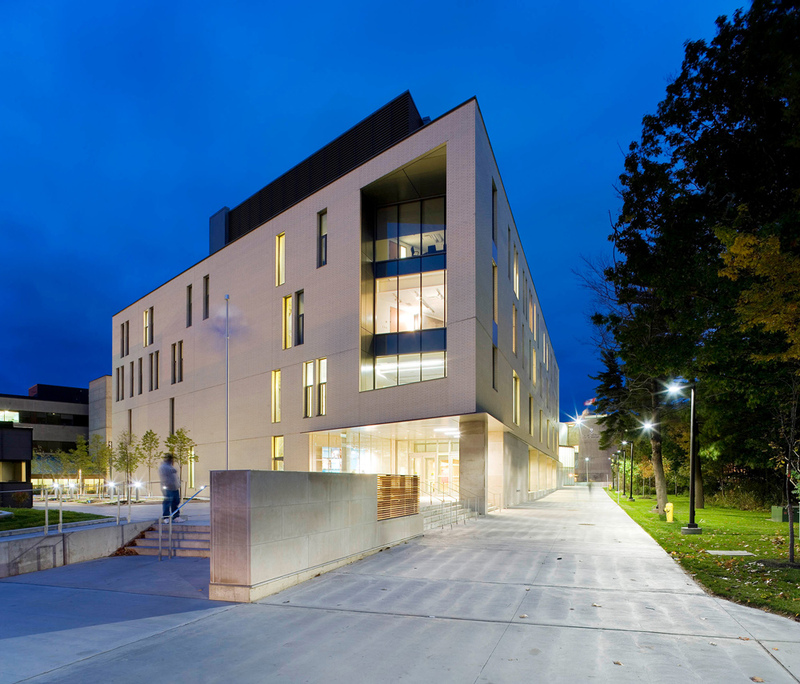 It targets a useful service life of 100 years and adopts an on-going verification process to monitor its performance.